Keywords: Bead width, Low carbon steel, TIG welding, Welding Temperature, Voltage. 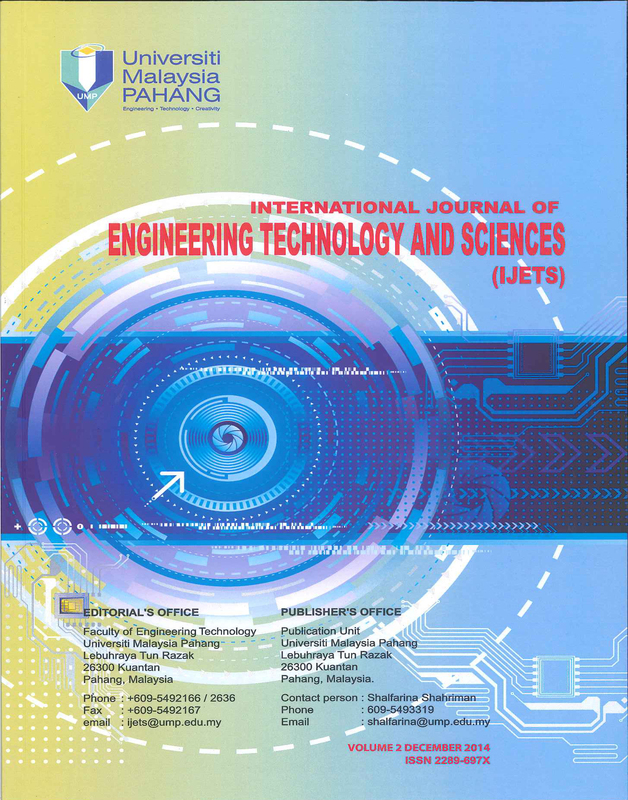 Variations of welding parameters and their effects on weld bead width of gas Tungsten Arc Weldment of 10 mm (thickness) AISI 1020 low carbon steel plate was investigated in this paper. Welding experimentation was carried out for Twenty seven (27) runs with three (3) ranges of current (120A, 150A and 190A), three (3) ranges of voltage (19V, 21V and 25V) and three (3) ranges of gas flow rate (13, 15 and 18 L/min) respectively. Applying the same range of parameters as inputs in Solid Works 2017 version, Finite Element Method (FEM) was employed to predict the weld bead width variations. To avoid wider weld bead width which can contribute to poor weld quality, a condition was established, in which the bead width values from both experimental and FEM prediction must not exceed 1.25 mm. Thermal transient flow simulation was also carried out with Solid Works 2017 version to determine the melting behavior of the material which revealed 1694 K as the solidus temperature and 1738 K as the liquidus temperature. It was observed that varying the welding current, arc voltage and the gas flow rate for the welding experimentation and finite element simulation, alternating weld bead widths of close proximity were produced. However, certain sets of parameters used for the welding experimentation met the aforementioned condition (≤1.25 mm) with the following values 1.02 mm, 1.05 mm, 1.10 mm, 1.07 mm, 1.15 mm and 1.19 mm while the same combination of parameters in the FEM met the condition with the following FEM predicted values 1.0 mm, 1.03 mm, 1.08 mm, 1.05 mm, 1.13 mm and 1.15 mm respectively. These findings are only applicable to AISI 1020 low carbon steel, therefore, melting point of materials should be adequately understood with proper knowledge of welding parameters prior to commencement of welding operation to avoid excessive increase in weld bead width.